A couple weeks ago I corralled a few of my friends into gathering around a dining room table for 48 hours in an attempt to make a game. We took a random prompt from previous Ludum Dare contests and ended up with the prompt ‘Islands’. 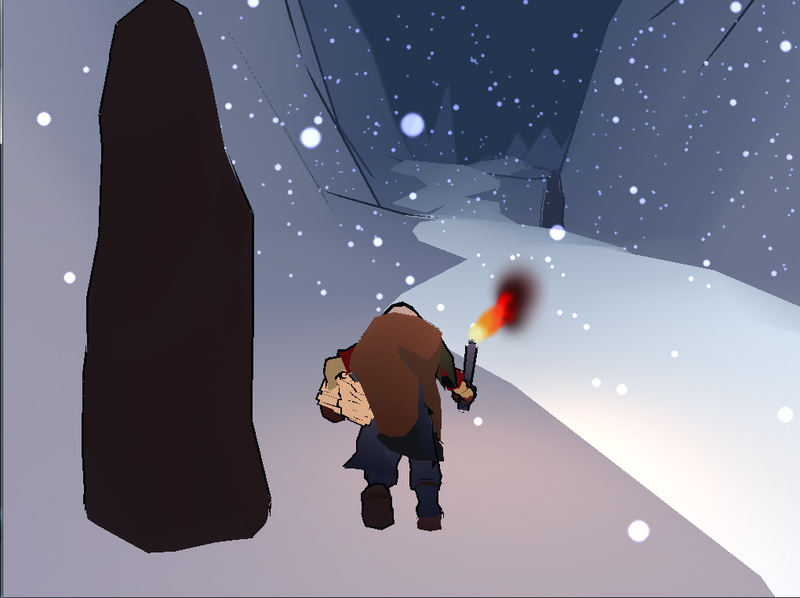 We ended up on a game about trying to get home without letting your torch die in the unforgiving frozen wastes. It’s a cold, desolate word. -We kept it simple. You can only move forward, move the camera with your mouse, and crouch. 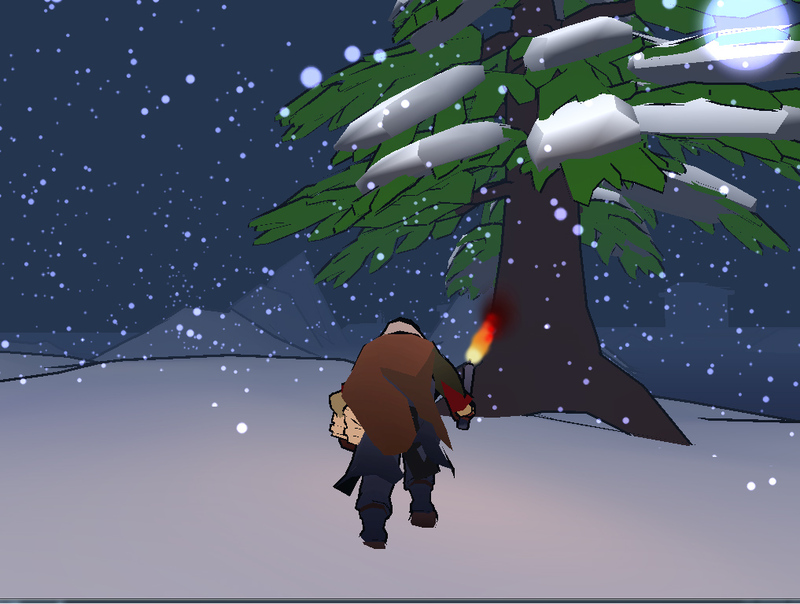 I chose a toon shaded look to ensure that little to no time was spent unwrapping and texturing. -Solid aesthetic. 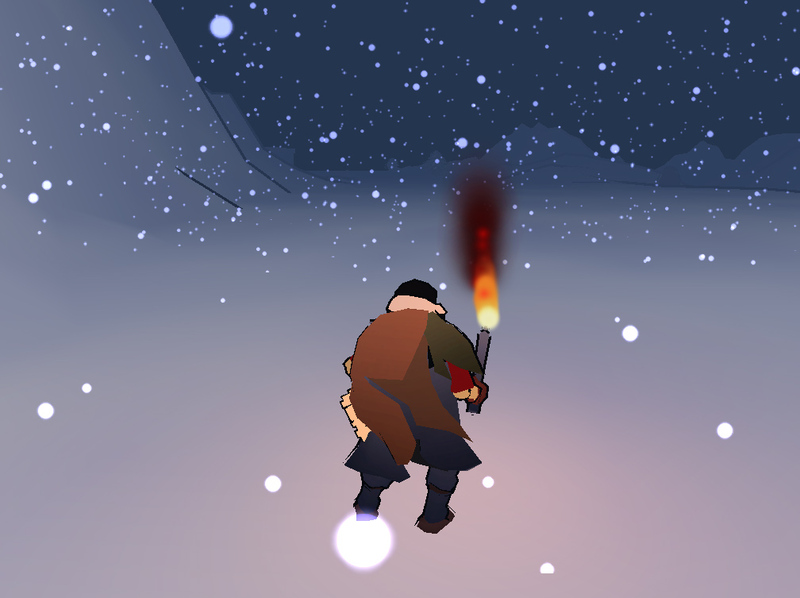 As there weren’t a lot of assets I got to spend a decent amount of time on the character and making him cold and miserable. One of the other guys does a lot of sound design and put together a really great soundscape that makes you feel the need to pull your coat over yourself. -Food. I cooked up a few dishes and a gallon of thai tea prior, there was also a good Costco run prior, we were not lacking for food. -Experience with the tools. Prior to the jam we had all agreed on some basic tools that we would be using. I was the only one with Unity experience so I sat down with each person and ran over the basics of the programs, and how they would be communicating with the rest of hte game. -Good people. I enjoyed everyone I worked with, it was a lot of fun. This is very important. -Networking. We ended up at a place with not the best internet. Originally we were gonna use GIT, but somewhere along the way that fell by the wayside, we tried using Google Drive, and that was a disaster and messed up Unity’s exporting capabilities. We ended up sneakernetting it and building it on one computer. -Lack of planning. We could have spent another hour or 2 on the planning phase. The levels got a bit rambly, some mechanics that were built weren’t implemented. There was a bit too much ‘punishing’ the player, without messaging them why. Proper naming convention (or lack there of) hurt us in certain spots as well. I don’t know the difference between New_Scene and The_New_Scene, and The_Only_Scene. We have another one on the calender for the upcoming Ludum Dare at the end of August. Next time maybe we won’t aim for ‘miserable’ as the player experience. It’s hard to tell if you succeeded or not.